Sally Ann Gritton began her career as an actor before working as both a freelance director and running Sorted Productions, a company that toured in Wales and became a platform for the Welsh voice in London. She was asked to direct at Mountview and then to teach before becoming Head of Acting for Musical Theatre. Sally Ann is now Director of Academic Affairs and Head of Undergraduate Performance. She is currently directing third year Musical Theatre students in the musical period slasher Sweeney Todd: Demon Barber of Fleet Street at Shoreditch Town Hall. What made you want to direct Sweeney Todd? I was asked if I would and I’m a lover of Sondheim’s work. It’s a Sondheim I haven’t directed before which is thrilling. Sweeney is so musically complex. I also think that albeit a musical and albeit that Sweeney is a fictional character, very sadly we’re in a time where knife crime is something of an endemic, very present and pressing issue. This led me to thinking about the idea in the piece that Sweeney could be anyone, Sweeney could be sitting next to you and in extreme times people are drawn to extreme action. Also, the idea of cutting and how volatile life is; with one action, you can lose a life. There are kids that this is happening to as we speak. With Victorian London and the poverty that we’re looking at in that period, I do think there is some relevance to where we are at now as a result of austerity measures. In London and across the country, poverty is very much sitting at the heart of everything – even though sometimes it may seem invisible. Do you often find that the plays or musicals you’re working on, even if written a long time ago, have this kind of prescient relevance to issues today? Absolutely. Particularly for student actors, it’s really important that we find and make those connections so that they understand their current time within a historical context. We hope that they are going to graduate not just as brilliant actors and performers but as intelligent artists who can come into the rehearsal room with an understanding of history and society. They can help be a part of change, too. Do you have a favourite line from the play? There’s a line that Lovett says when she’s down in the cellar: ‘a couple of rats gone home to Jesus’, which I quite enjoy. I think my favourite is where Sweeney sings, ‘there’s a hole in the world like a great black pit… the vermin of the world inhabit it’. That’s very much what I wanted our starting point to be for framing the rest of the work; dirty, filthy London. How has directing this musical differed from others that you’ve directed? That’s a hard question because I’ve directed such a range of work and for students it’s always about what’s right for those students at a certain time. In a way this is not very different because acting is acting and telling a story is telling a story, whatever way we’re doing that. But Sweeney has a very complex score and about eighty percent of the entire show is underscored. Some of that is sung through, some of it is spoken but the logistics of having to time particular dialogue to underscore creates really interesting parameters to work within. The tempo is dictated by the music rather than my whim as a director. Which is great. It gives everyone a challenge. 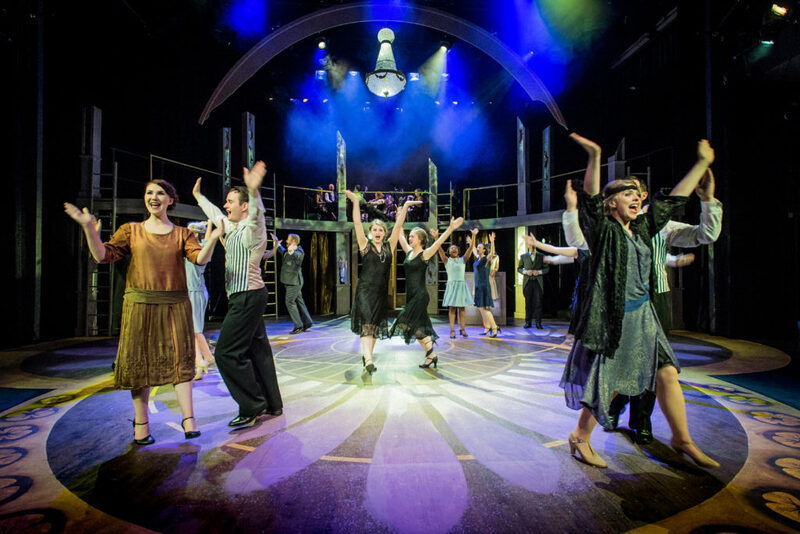 What do you enjoy about directing Mountview students? I think because they’re students they’re not yet cynical. Mountview students have huge optimism. They’re also bright – the training encourages them to think further than the end of their nose and because the training is very collaborative, they work as a collective, they care about each other and they care about the work. So you’re able to have a really creative, exciting experience in the rehearsal room rather than it being a place of competition or of just getting the job done. We’re being very creative, very playful. They’re just up for it – they’re open! And extremely talented. What advice would you give to a new director? Listen. It’s not about being the voice in the room. It’s about listening to the other people in the room, listening to the writer’s voice and using that as your starting point. Also knowing that there are many ways of getting to your ultimate goal and it doesn’t have to be linear. Sweeney Todd: Demon Barber of Fleet Street will be performed at Shoreditch Town Hall from 6-13 April. 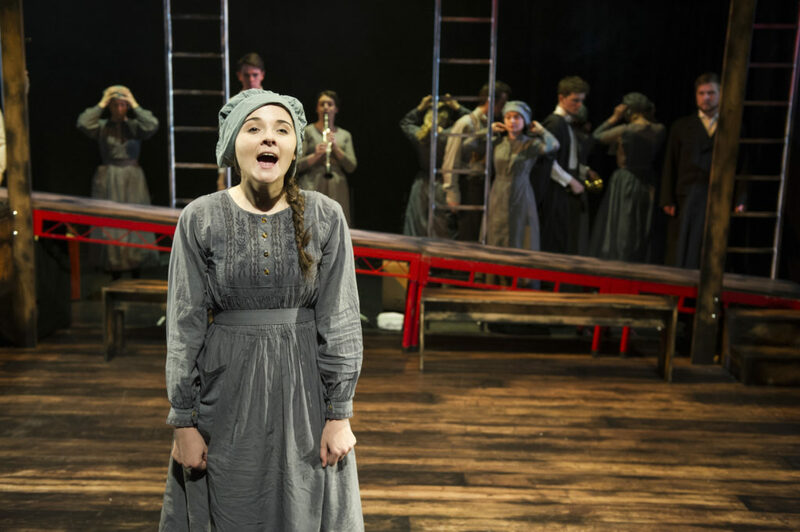 Images: Mountview students performing in Jane Eyre (2016) and in Grand Hotel (2017).